Here’s a somehow rare video showing Finland’s Boeing F/A-18C/D Hornet fighters, upgraded to the MLU 2 configuration, carrying JSOW (Joint Standoff Weapon), JASSM (Joint Air-to-Surface Standoff Missile), and GBU-31 JDAM (Joint Direct Attack Munitions) bombs. All the 62 Finnish Air Force’s Boeing F/A-18C and F/A-18D Hornet multi-role fighters have been upgraded to the MLU 2 configuration. Completed between 2012 and 2016, Mid-Life Upgrade 2 has introduced the ability to employ medium and long-range (standoff) air-to-ground weapons. 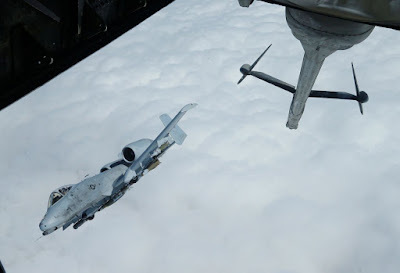 The Finnish Hornet’s air-to-ground weaponry now includes short-range precision-guided bomb (Joint Direct Attack Munition, JDAM), medium-range glide bomb (Joint Standoff Weapon, JSOW) and long-range standoff missile (Joint Air-to-Surface Standoff Missile, JASSM). The Finnish Air Force’s fleet of “legacy Hornet” dates back to 1995, when the first examples were introduced into service. In order to keep them in service till 2025–2030, the Finnish Hornets have undergone two mid-life upgrades. The Mid-Life Upgrade 1 (MLU 1) was completed between 2006 and 2010 and was aimed at maintaining and improving the aircraft’s air-to-air capability. As part of MLU 1, Finland F/A-18s got the AIM-9X Sidewinder IR-guided AAM (Air-to-Air Missile), the Joint Helmet-Mounted Cueing System, the Moving tactical map display (Tactical Aircraft Moving Map Capability, TAMMAC) as well as new radios. The Mid-Life Upgrade 2 (MLU 2) in 2012–16 focused on providing air-to-ground capability as well as some other interesting add-ons, such the Link 16 and the Litening targeting pod. The following video shows the Hornets carrying GBU-31 JDAMs, JSOW and JASSM (as well as the Litening pod) during flight testing conducted both at NAS Patuxent River, in the U.S. and at home. You won’t find many videos showing the Finnish Hornets with some heavy weaponry, that’s why the following footage is particularly interesting. Is This The Islamic State’s Last Stand In Syria?